A purchase of H&Ms jeans gets you a great new pair and FREE shipping. Check out the sale section for jeans starting at $9.99. When you spend $40 or more at H&M, you get some of the most fashionable items at great prices AND free shipping. When you sign up for H&M's newsletter, you get 20% off one item of your choice, free shipping, exclusive offers, inspiration, tips, and the latest fashion news. What are you waiting for?  Use this link to grab the Android app for H&M & enjoy 15% off. Enjoy 15% off your first purchase when you download the H&M Apple app. Enjoy 25% off one item & get free shipping when you sign up for e-mails from H&M. Purchase anything from H&M & get shipping for $5.95. Spend $40 or more @ H&M & get free shipping. Fresh new H&M styles have been marked down! Check them out and save up to 80% on H&M's hottest styles. Use the promo code to receive 15% off your order of $75 or more. Shop shorts @ H&M from as little as $5.99. Paste your code into the field and click "Ok"
H and M is a world-renowned fashion brand, catering to men, women and children. H&M often release coupon codes, sometimes for a percentage discount or even free shipping on your order. Check MomDeals for the latest coupons, before you buy!